I like blogs that have questions that make you think. Recently over at Joey's Pad, a question was: What inspirational tattoo do you have or would you have? Actually, I have tattoos, but none are inspirational. When I turned 50, I had my eye makeup tattooed on...Top and bottom eyeliner and a really light smudge of green-blue shadow above the top liner. Sometimes I even have my eyelashes dyed dark brown and then I'm virtually wash and wear! 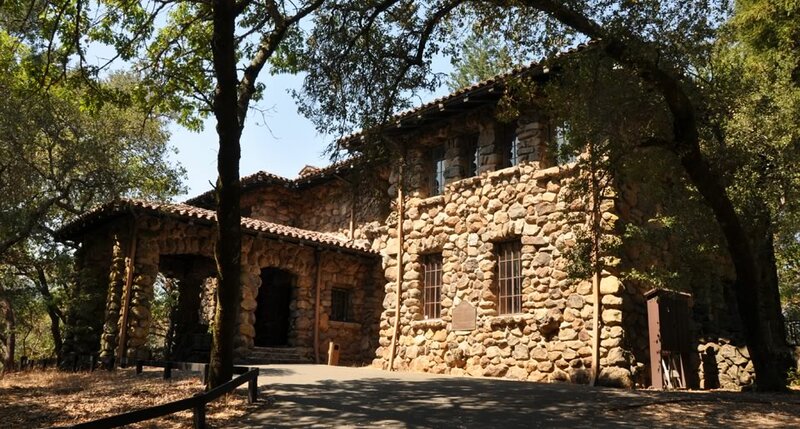 I grew up very close to London's ranch in the hills of Sonoma Valley in California. I spent a lot of time roaming his property, which is an historic park, and touring the house his wife built to house all of their travel mementos. I loved soaking up the essence of London's adventures, which pervaded the buildings and property. As a young girl and teenager, I always wanted to be someone London would pal around with even though he died long before I was born. I'm going to continue Joey's question here: How about you? What inspirational tattoo do you have or would you wear? No tatts for me - but I have considered the brows! Awesome. I have tattoos,but nothing inspirational, just reminders of someone I had fell in love with and had to walk out on....it reminded that I never wanted to be in love again...with love Janice. P.s i left the how to make the sweet potatoes sorry it took so long for something so simple.. Your post is a great way to start my day. 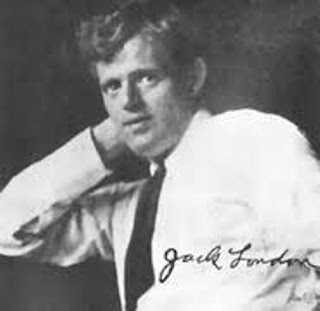 I'm remembering when I once spent all my money on a Jack London book because the dog on the cover looked like our dog. 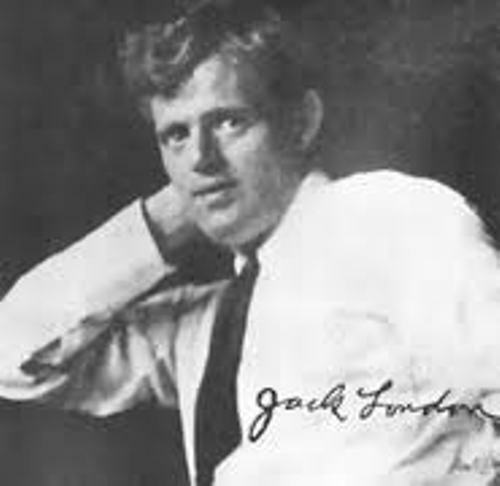 I hadn’t heard of Jack London or Call of the Wild, but I loved to read (I come from a long line of librarians) and it was the first time an author somehow spoke to my soul. But I have no tattoos - If I were to get one, it probably wouldn't be inspirational, but would be one I saw on the internet, a woman had a paw print on the bottom of her big toe. People who see your comment should know how you devote your life to rescuing and loving the dogs who find themselves homeless through no fault of their own. Kim, I love the paw print on the bottom of the toe! Some times you don't need words to inspire. My 8 year old grandson just watched Call of the Wild with his mom. She said they both agreed to fast forward through the dog fight scenes as it was breaking his heart. Hi Sugar! My late beloved and I visited Jack London's place when we were in Sonoma years ago. We were amazed, and really loved our visit there. I don't have any tattoos, and know I'd never get one. Although your eye liner tattoo sounds so helpful! I just read about your ordeal in your previous post. Oh my goodness, you poor thing! I know you're glad that that is over and done with. Bless you! Thanks for the sympathy Kittie, but it was really my husband who suffered the most, stoically I might add. The eyeliner used to slide right off when I turned 50. It really has helped. I went to a Lancome counter early one morning without makeup to buy some mascara. The salesperson said she wanted to take my makeup off for me. I told her I didn't have any on. She said yes you do and laughed. I had forgotten all about the tattoos and when I told her it wasn't makeup, she got a magnifying glass to see it up close. She thought for sure it was makeup. I am afraid that I am tattoo free and if I don't want my sweet father to raise from the grave and give me a good tongue lashing, I'll stay that way. He had a tattoo and always said that he wish he hadn't. I have no tattoos, but I have been thinking about that eyeliner one. I am tired of the makeup process every day...smart girl! Kim, when I got home Wild Bill was pacing the floor and when he saw me, he breathed a sigh of relief. He said he was happy I hadn't done it. I said, no I did. I asked him what he had expected and he said "I thought you were going to get them thar butterfly wings coming out!" I'm not sure I'd wear a tattoo. But I'd gladly support many inspirational quotes including my motto, "Fully expect the universe to cooperate." Love that one Jeanie! My favorite book to give away is "The Power Of Your Subconscious Mind" from the 1970's. It's a great book and changes people's minds for the better every time. You get the life you believe you deserve, it's as simple as that. No tattoos for me, not a fan. Though my son has many of them. One on his arm is a lighthouse. Said it was for me, because I am his beacon of light in this world. An anchor on his other arm for his dad. Oh, that's so sweet! Love it. 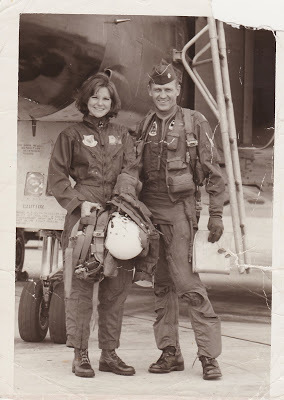 My dad was in the Navy and had a heart with my mother and his name in it. They were married when he was 19 and she was 16. He was leaving for WWII. They divorced in 1954, but he would not remove the tattoo. He died with it at age 69. He loved her all his life, but I believe they were just too young. Hey thanks for the shout out. I'm travelling at the moment, in fact I'm sitting in an airport right now, so I'll come back to this post when I'm not waiting for a plane! I don't have a tattoo, but I sure like your idea of having the eyeliner done. That's neat. I had not idea you could do that. I have a Phoenix feather for my stillborn daughter, Phoenix. I have a moon and forever young tattoo to honor my relationship with my best friend, Gina, and I have matching Gallifrey symbol tattoos with my husband because like Gallifrey, our marriage stands (doctor who reference). I really want a hummingbird with a banner that says "love you just the same" as a memorial to my friend Jason, because I have been seeing hummingbirds ever since he died and that is what he would always say when I apologized for whatever bitchy thing I had done.